Maps, music and messaging are a great way to while away the time when you're travelling - until your battery goes! Fortunately, there's an answer to that problem - the Power On 18 Rucksack. The Power On series was created to meet the requirements of the modern urban commuter. Stash your portable power bank in the pack, connect it to the integrated USB port and you can charge your smartphone or tablet while you're on the move. 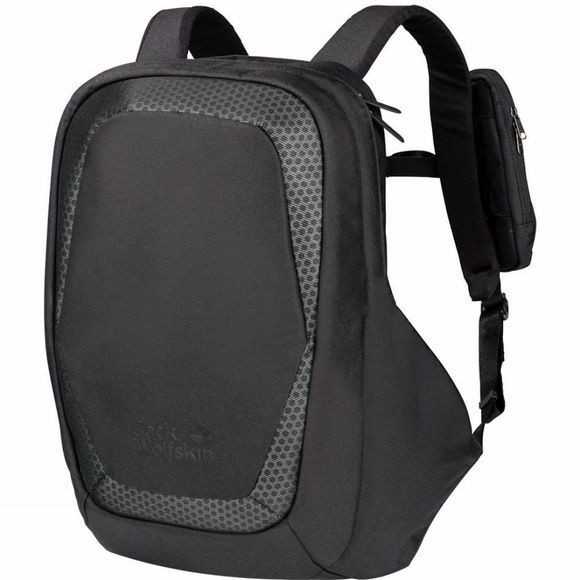 With the Power On 18 Rucksack, you'll never run out of battery again. 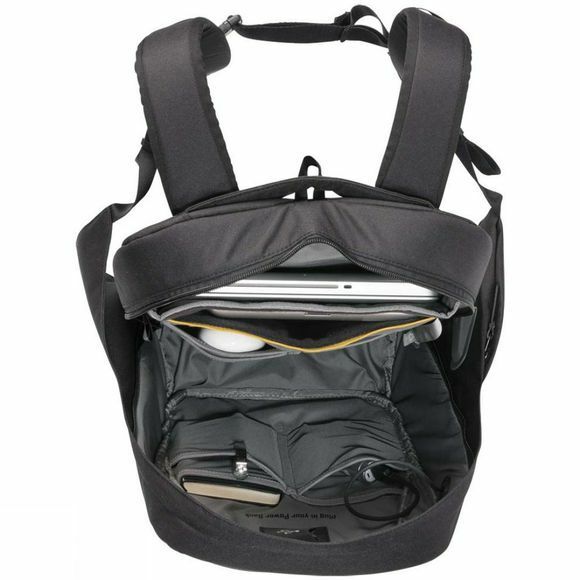 The main compartment features special padded pouches for your laptop and tablet plus multiple smaller compartments. The main zip is hidden from view to deter unauthorised access and keep your belongings safe and the two concealed pockets provide additional anti-theft protection - useful features when you're travelling on public transport in the rush hour. There's a dedicated smartphone pocket on the shoulder strap for instant access to your device. And the front of the pack has large areas of retroreflective fabric for increased visibility in traffic.